I was invited to a BBQ party at my colleague, Sherylin’s place. She is a cheerful and fun-loving Canadian girl. The party was co-hosted by her new flat-mate-Daniel (a handsome guy from Sicily, Italy–> I found him looks a bit like my best friend, suchin’s fiance. Anyway, I also know Daniel’s gf – Mel. A really pretty gal who look a whole lot like 邵美琪 and prettier!! 🙂 She made this fantastic dish – Spinach Dip!! A new dish that I learnt today! Mix all the ingredients together the night before in a bowl and leave in the fridge. Either in a party bowl or a hollowed out round bread (sour dough, pumpernickel) scoop out the dip into it. Use the hollowed out bread by cutting into bite size or use with bread sticks or veggies. Tastes really good and I googled it at home.. it is quite easy to make! I will try to make it next time! Have been pretty busy with works recently!! Both me and Ethan! – Work: Getting more and more adapted to the environment! Start to taste different kinds of beers during Thursday and Friday happy hour! Start to work on some database and datawarehouse thingy. – Also start to join lunch hour exercise class (did I mention that we have a well-equipped gym room downstair?)! I join the Step and ABT classes! Also try to find time to have an half-an-hour jogging as frequent as I can and lead a healthy life-style. The company will buy us some fruits every Monday and Wednesday! Cool huh!? 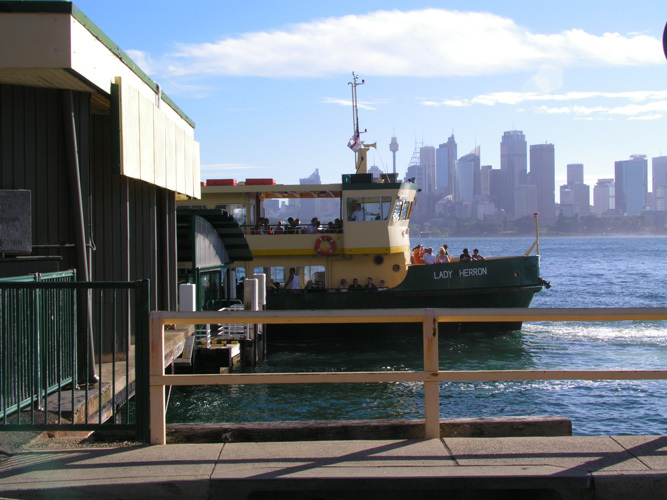 – Traffic is getting heavier in Sydney as the school term restarts on 30 Jan. The normal 35-minute trip to company is extended to 45 minute. This morning it took me nearly one hour to reach the company as it was raining and traffic was extremely slow-moving! Anyway, I still prefer driving to taking train as the train station is just too far from the company! – Last saturday was Australian day. So the past Monday was a public holiday! 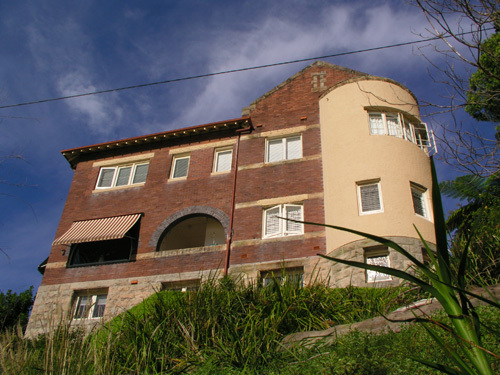 We went to Newcastle, Port Stephens and Hunter Valley for a two-day trip! It was pretty nice! We even caught another firework show at Port Stephens!! Photos will be uploaded soon! – Chinese New Year is around the corner!! How I miss the cheerful atmosphere in Malaysia and Singapore now!! I miss going to Chinatown (niu che shui) to visit the crowded and lively night market! There is not much atmosphere here (as expected)! 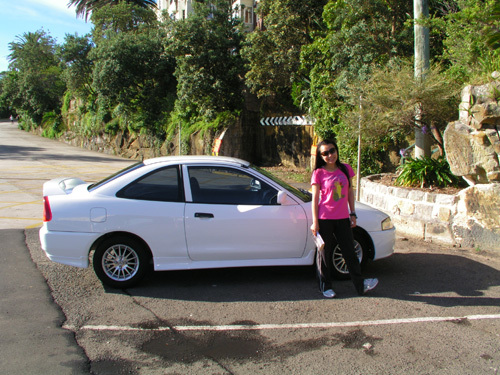 Anyway, we will be spending our first chinese new year in Australia away at the “surfers’ paradise”– Gold Coast!! Hopefully we will have another nice trip and a memorable first-ever-away-from-home chinese new year! 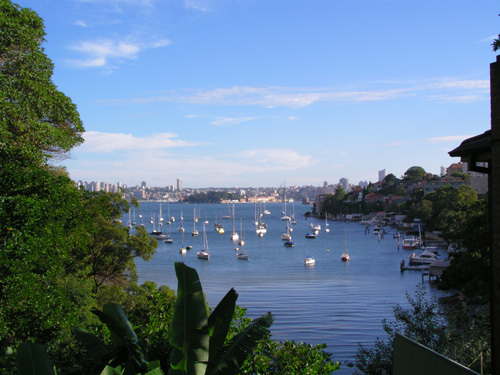 – Photos are from a jogging trip at Cremorne Point! A jogging track beside the sea! A very nice jogging location! 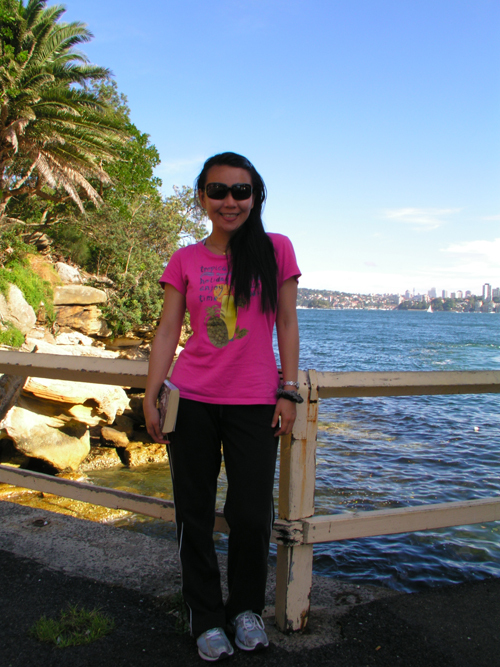 Photo of me… aged quite a lot since I came to Sydney as the sun here is really harsh!